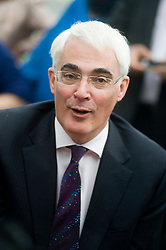 Alistair Maclean Darling born 28 November 1953 A British Labour Party politician who has been a Member of Parliament (MP) since 1987, currently for Edinburgh South West. He served as the Chancellor of the Exchequer from 2007 to 2010. 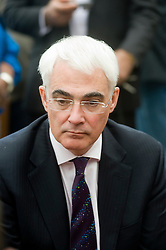 Darling was one of only three people to have served in the Cabinet continuously from Labour's victory in 1997 until its defeat in 2010 (the others being Gordon Brown and Jack Straw). 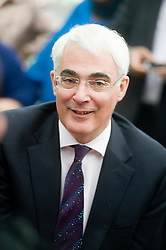 Darling was initially appointed as Chief Secretary to the Treasury in 1997, moving to become Secretary of State for Work and Pensions in 1998. Spending four years at the department, he spent another four years as Secretary of State for Transport, also becoming Secretary of State for Scotland in 2003. Prime Minister Tony Blair moved Darling for a final time, to Secretary of State for Trade and Industry in 2006, before Gordon Brown promoted Darling to Chancellor in 2007.